My iPhone is like an extension of my hand. I love it and it always amazes me with something new. When I read about being able to pay your restaurant bill at prezzo with the prezzo app it was definitely something I wanted to try. 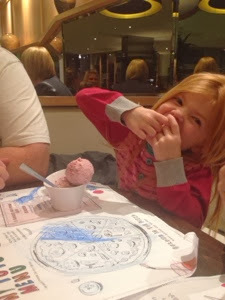 We love prezzo as a family-friendly restaurant - I have previously blogged about their fantastic children's menu here. The app is free to download and the registration process is super easy. It only takes a few minutes, then you are ready to go. The home screen offers a few different options - you can find your nearest prezzo and book a table, view the various menus and sign up for the latest offer. Everything is smooth and flawless. The table booking function was particularly great and it immediately added the reservation to my iPhone calendar. You can even create a facebook event straight from the booking page and invite your friends. When you open your tab at the restaurant you need to tap 'pay bill' and you are given a unique code to show to your server. Then you can close your phone for the evening or if you are a bit if a control freak like me you can check your bill throughout the night and watch as the drinks and food you order magically appear on your virtual bill. 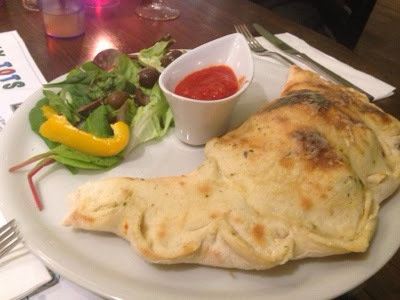 As always we thoroughly enjoyed our meal at prezzo. 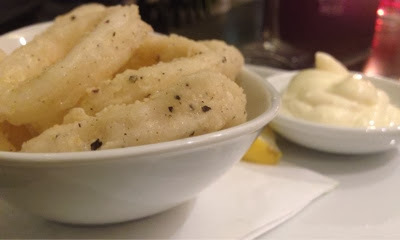 We enjoyed starters of calamari and tricolore salad. 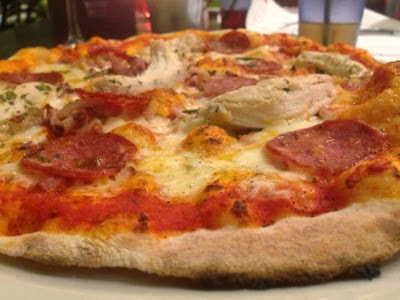 Unusually, everybody ordered pizza as a main course and everybody devoured it all! 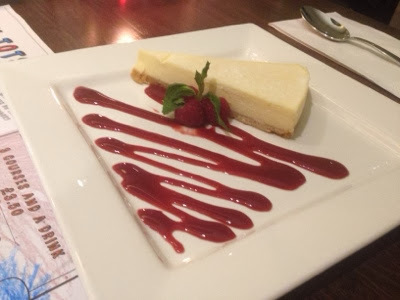 We managed to save a little bit of room for one of prezzo's delicious desserts. I was really spoilt for choice as many of my favourites featured on the menu. 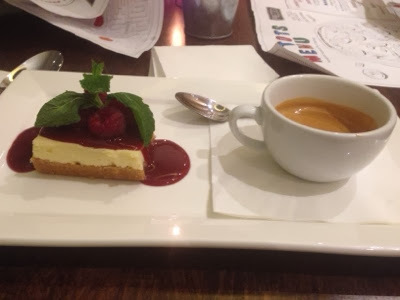 In the end I opted for a mini raspberry cheesecake and espresso (I love how you can buy mini desserts and a hot drink for £4.95). Hubby opted for the Lemon torte from the November specials menu and the children chose ice cream. Now the fun part - paying the bill! All you need to do is simply tap 'pay bill' through the app on your phone. Everything that you have ordered is itemised for you to check. 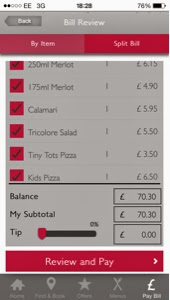 You can even easily split the bill between friends using the 'split bill' function which is very nifty. What I liked most about using the app is not having to wait around to catch a waiters eye and ask for the bill - you can just do it all in your own time. You can also add a tip and use the slider to change the percentage you'd like to leave - the app automatically works out the amount for you. To pay, you simply tap on whichever pre-saved card you would like to use and that's it! A detailed invoice including a VAT number is even emailed to you straight away. 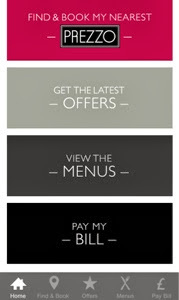 In summary, the prezzo app is definitely something I will use again. It was very simple to use and I liked being able to see a detailed list of everything we'd ordered as we ordered it- it is a great way to keep an eye on your budget when you are eating out. 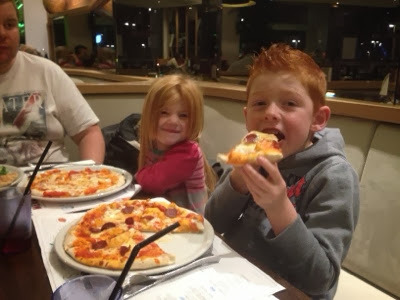 Prezzo Cramlington even has free wifi available so we didn't need to use any of our data allowance. 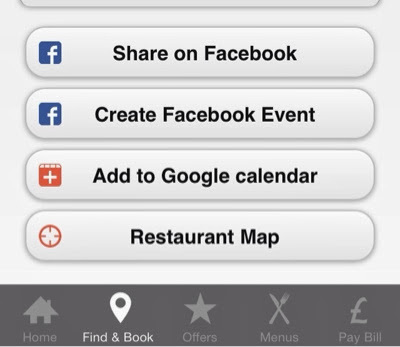 The prezzo app is available to download now from the App Store. 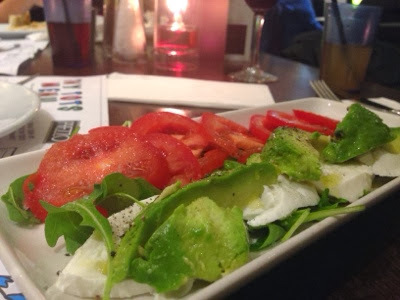 Disclaimer:- we were given vouchers in order to try and review the prezzo app. All views are our own.